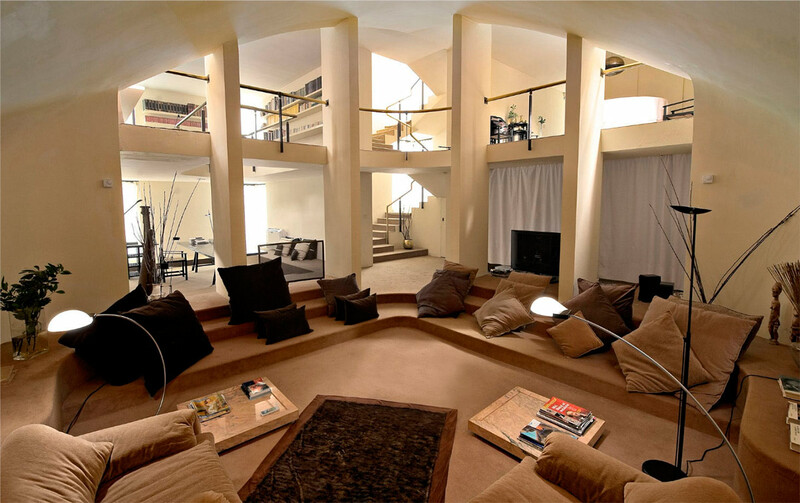 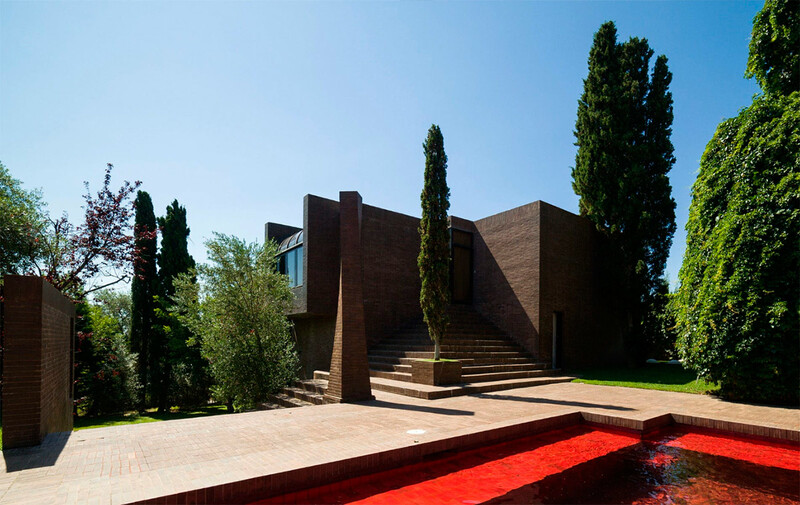 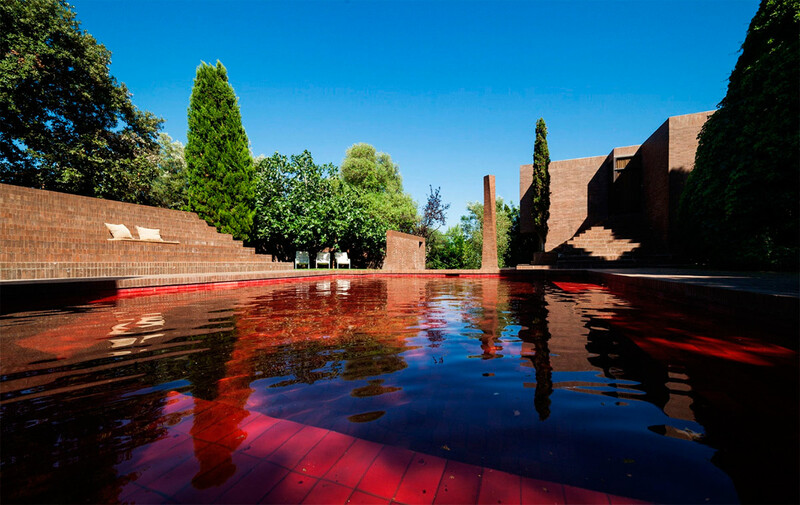 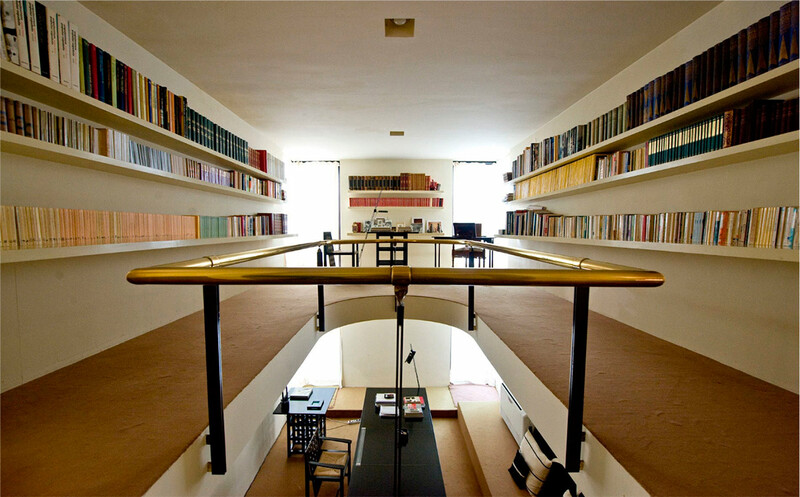 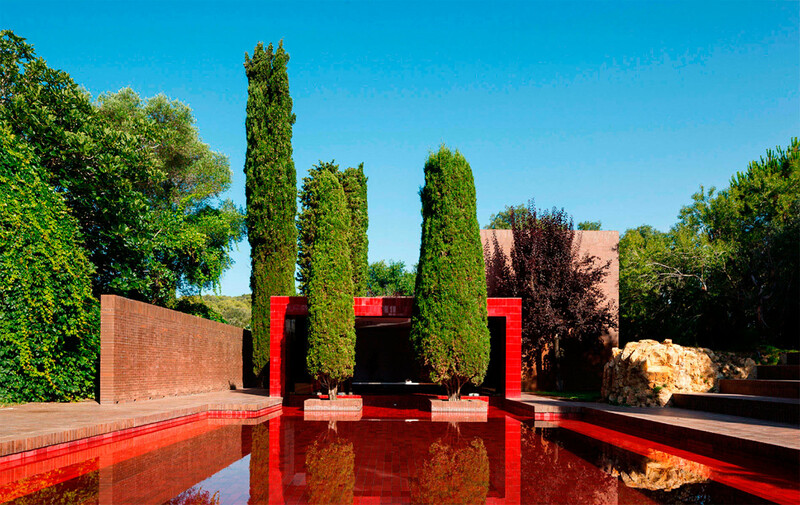 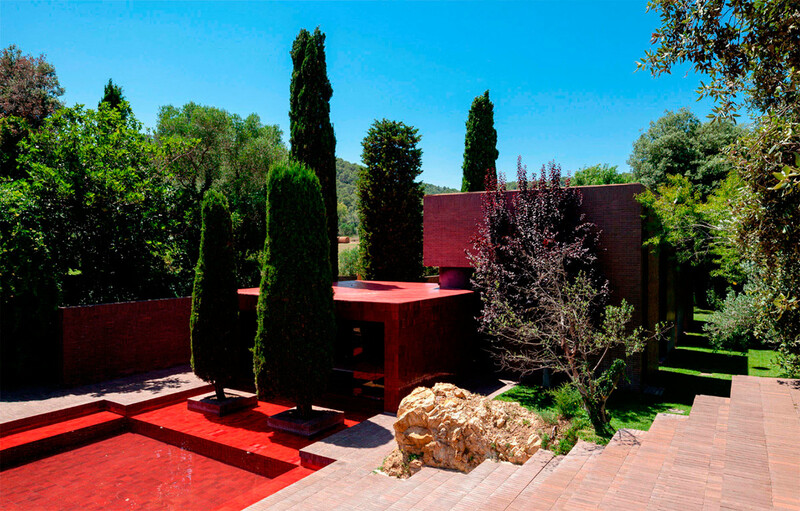 Located at the Empordà in Giron well-known Spanish architect Ricardo Bofill designed a summer house for his parents. 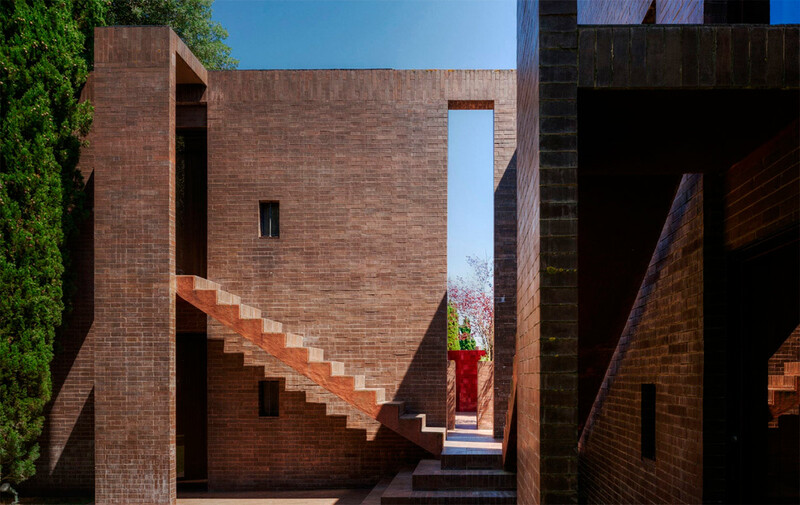 Built on the ruins of an old country home, the Family House is organized around a brightly red central courtyard that captures different views of the surroundings. 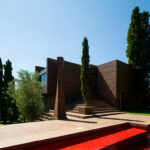 The summerhouse for the architect’s parents, set in a landscape of hills and woods, is located in the village of Montràs, a few miles from the Spanish Costa Brava and was built around a country manor farmhouse in ruins. 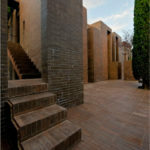 The layout is similar to a small town and the ruins are incorporated into the volumes of the house. 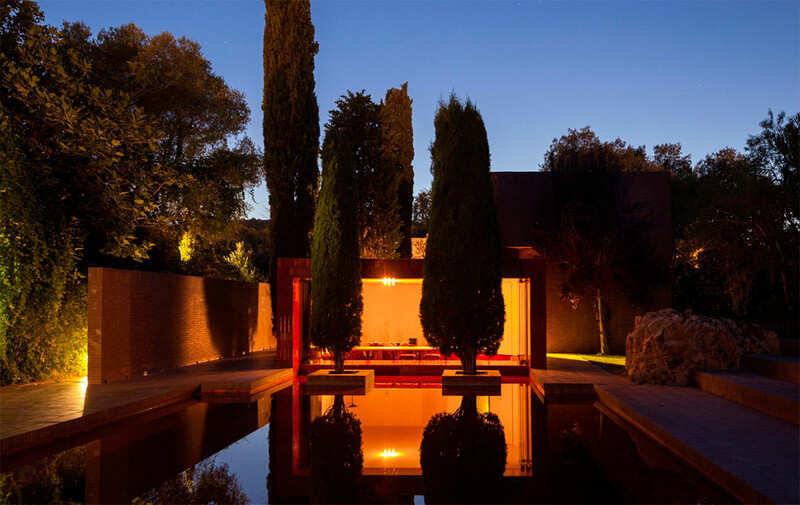 The complex consists of several pavilions arranged around a central exterior space occupied by the swimming pool and the main dining room, which stands as an independent pavilion. 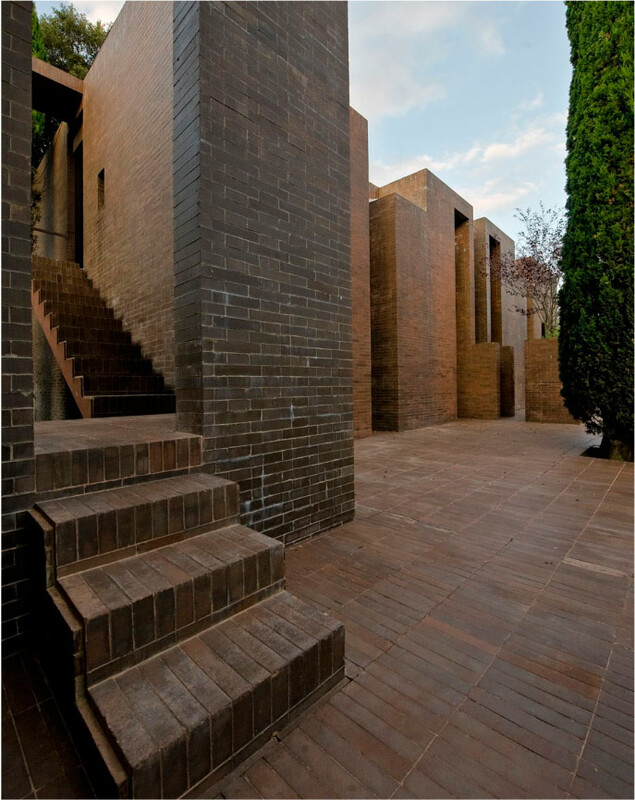 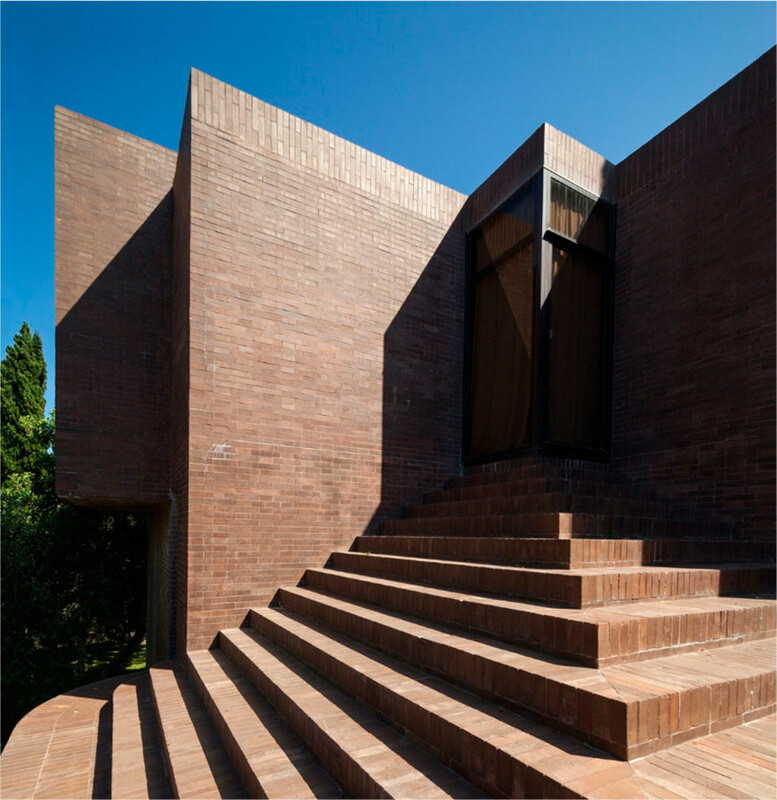 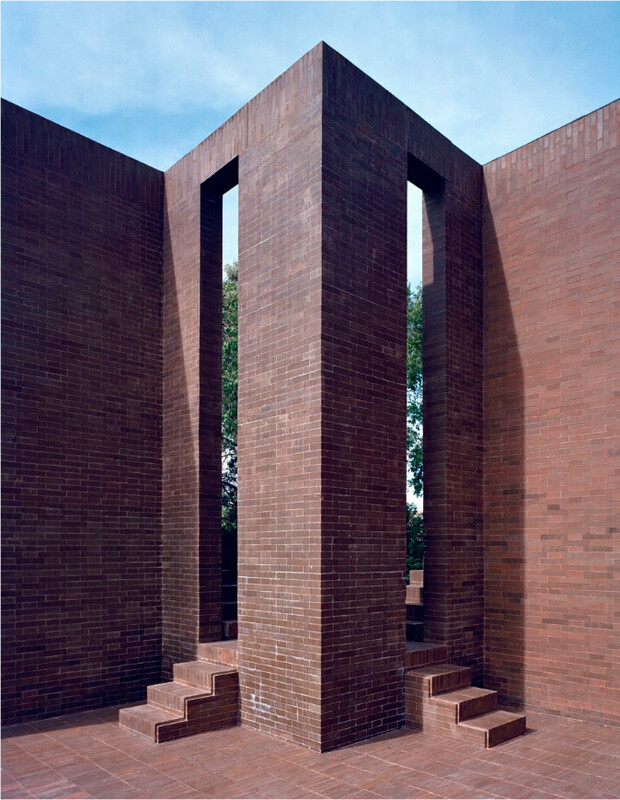 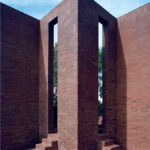 The pavilions, sheathed in brown bricks are oriented towards the central swimming pool, focal point of the residence. 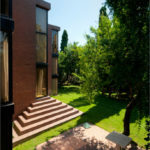 Various corners of relaxation, protected by high walls, contribute to the comfort of the spaces and steps, which are used for sunning, connect the entire built pavilion. 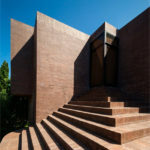 The main body, where the parents live, is composed of two identical volumes: living room with a chimney at a diagonal covered by a Catalan vault, music room, and master bedroom with bathroom and dressing room. 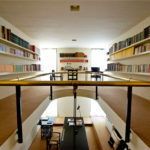 On the second floor is the library; on the third are a playroom and a sitting room, which is connected to the swimming pool via exterior steps. 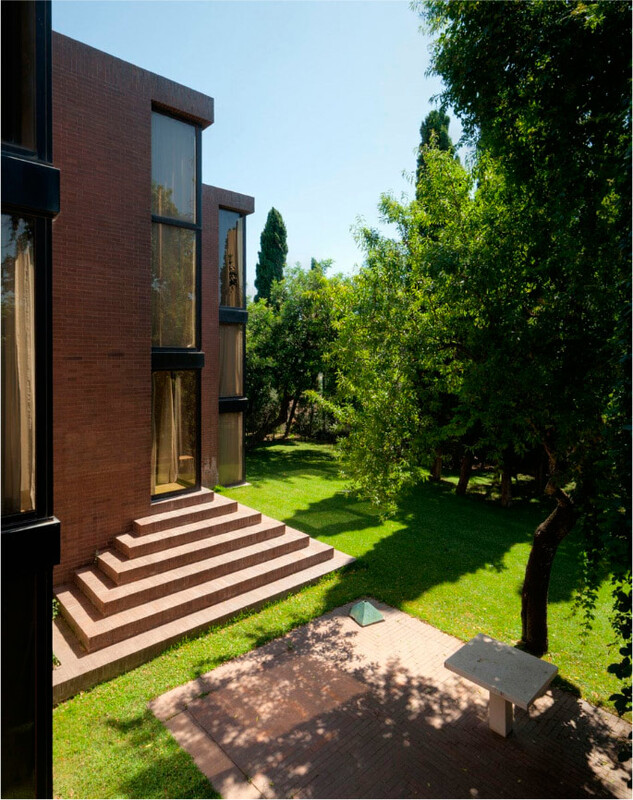 The five independent modules, for family and guests, are bedrooms 3 x 6 x 6-metre volumes with mezzanine, contain a bedroom and bathroom. 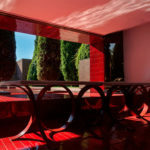 The main dining room, meeting place par excellence, completely sheathed in red ceramic tile, is oriented towards the pool and is connected to the kitchen and servant’s quarters via a revolving glass door. 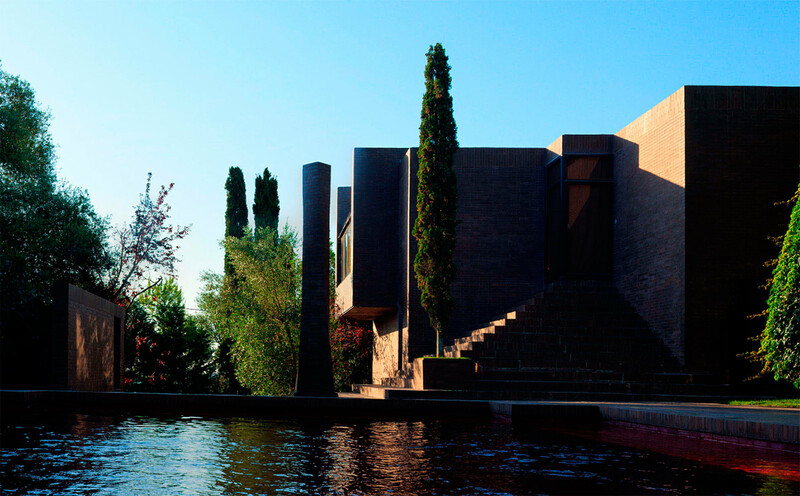 All of the built forms, including the swimming pool are built on a rectangular platform, which is a plinth to the entire house. 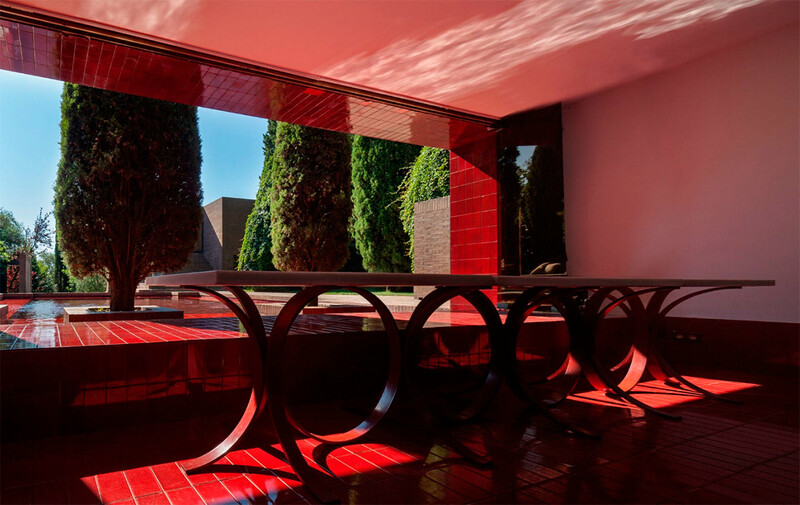 The exterior cladding is dark brown gres sandstone, while the main dining room and the pool have been given an interior cladding of red ceramic. 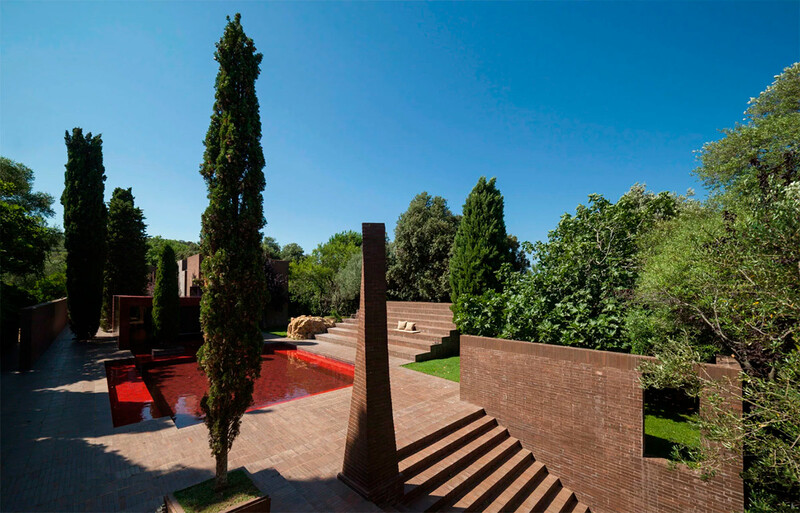 Ricardo Bofill Leví is a Spanish architect born in December 1939, who, since 1963, continues to lead the international architectural and urban design practice Ricardo Bofill Taller de Arquitectura. 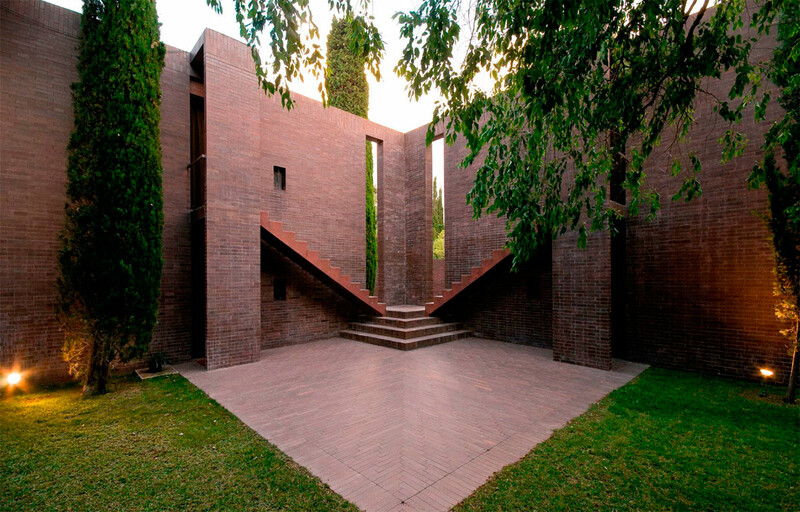 Ricardo Bofill was born into a family of builders in 1939 in Barcelona. 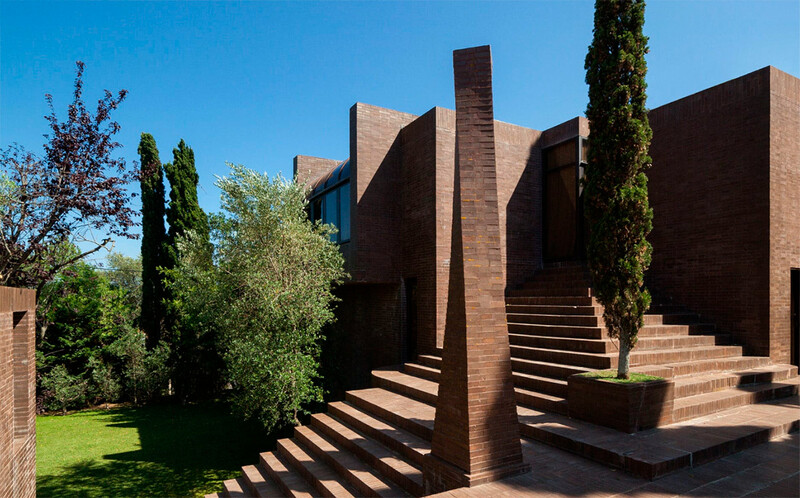 He studied at the Barcelona University School of Architecture and graduated from the School of Geneva. 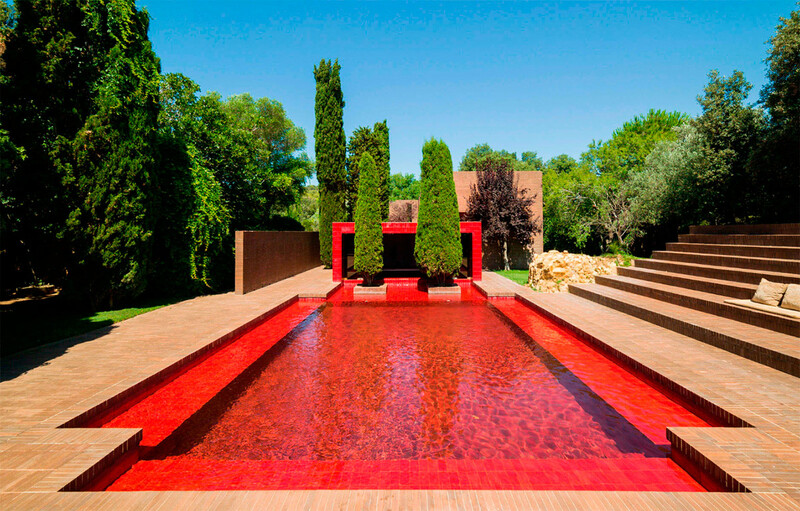 At the age of 17 Ricardo Bofill designed his first project, a summer home in Ibiza, and by 23 became lead architect of el Taller. Over fifty years later, Bofill still leads Ricardo Bofill Taller de Arquitectura, with over 1000 projects to date in over 50 countries. 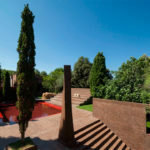 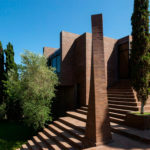 Cite this article: "Family House at the Empordà / Ricardo Bofill Taller de Arquitectura," in ArchEyes, August 31, 2016, http://archeyes.com/family-house-at-the-emporda-ricardo-bofill-taller-de-arquitectura/.